with its warm and discreet service, surprises with the originality of its furnishings and seduces with the absolute tranquillity of a timeless oasis. Surrounded by a silent garden, Albero Capovolto B&B di Charme is located in the countryside of the Golfo Aranci, just a few kilometres from the Costa Smeralda’s most stunning beaches. The hotel is a mere 10 km from Olbia and 13 km from Olbia–Costa Smeralda international airport. We recommend guests to hire a car to head out and explore the areas beaches and countryside. 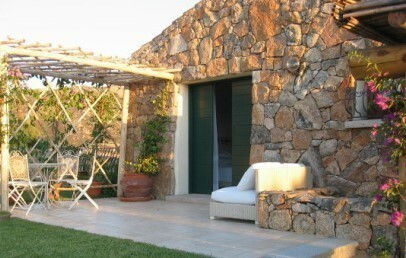 Albero Capovolto is a small charming B&B enveloped in the silence of the Gallura countryside. 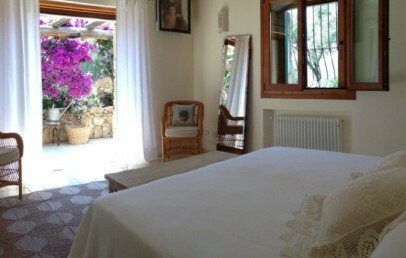 The young owner has transformed the place of his childhood summers into a bed & breakfast that continues to uphold the family’s homely warmth and love of Sardinia. The luxuriant garden is well-tended and offers guests numerous relaxation hideaways. The indoor areas will astound you with their creative mix of shabby-chic elements, local handicrafts, and traditional Sardinian weaves and fabrics. Children aged 10 and over are welcome in the hotel. 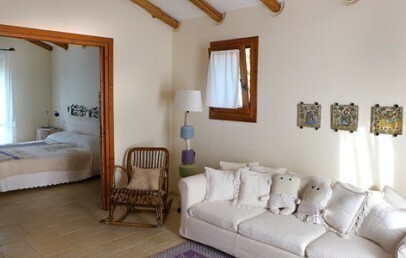 Exposed beams, whitewashed walls, handcrafted furniture and traditional textiles: the B&B’s rooms have preserved all of the charm of the traditional rural houses of the Gallura region, as well as the warm welcome of a family sanctuary. 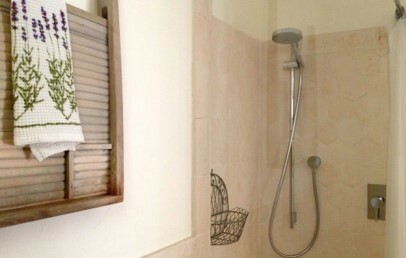 All rooms have individual entrance, en-suite bathroom with shower, air conditioning, complimentary Wi-Fi connection. Classic – 23 sq.m., double bed, en-suite bathroom with shower. Superior – 32 sq.m., double bed, en-suite bathroom with shower, relaxation spot in the garden. Suite – 48 sq.m., double bed, walk-in wardrobe, living room with sofa, en-suite bathroom with shower, on both sides of the Suite private patios, garden view. Set between wild olives and bougainvillea, breakfast is served on the covered patio from 8:30 am until 11:00 am. On offer: home-made cakes and Sardinian pastries, local honey and jams, yoghurt and fresh fruits, juices and freshly-squeezed juices, coffee and a large selection of teas. Fruit of the owner’s great passion for food, Albero Capovolto - B&B di Charme offers its guests the very best of local food and wine tradition with intense voyages of taste: afternoon tea, aperitifs, dinner, barbeques and tastings are all available upon reservation. Use of the common areas is included in the room rate: car park, garden, pool and relaxation areas. The large garden is a space dedicated to the pursuit of wellbeing, where guests can join in a yoga class or treat themselves to a relaxing massage (upon request, at a supplement). Cooking classes can also be arranged at a supplement. Moreover Albero Capovolto – B&B di Charme offers cultural, archaeological and nature excursions for guests to get out and discover the region (at a supplement), all led by expert guides. Boat tours can also be arranged or guests can hire a small boat to explore the Costa Smeralda and the close-lying Maddalena archipelago. 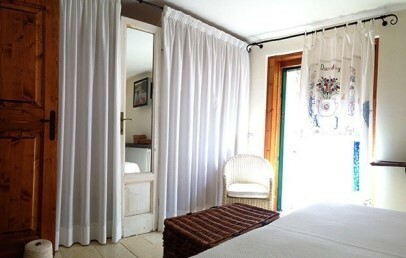 A comfortable double room, the classic room features vintage furnishings and linen and cotton bedding and towels. 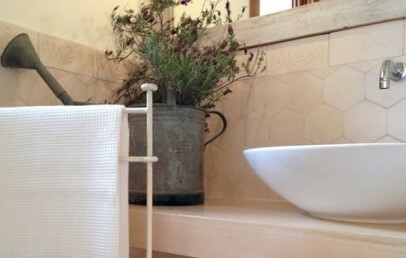 The room offers an en-suite bathroom with shower and direct access to the garden. Exposed beams, whitewashed terracotta flooring, soft colours and local handicrafts: the superior room is a large room with a warm and welcoming style. A large French window gives access to a bougainvillea pergola. The room has an en-suite bathroom with shower. 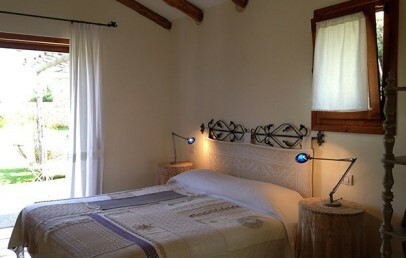 Furnished in a stylish and creative manner, the large suite offers a double bedroom and a bright living room with sofa. 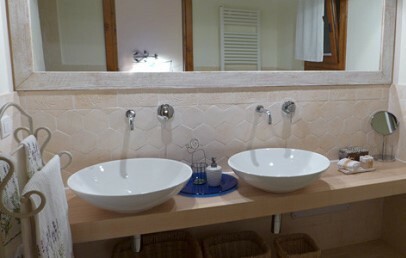 The Suite has a spacious bathroom with double sink and shower. On both sides of the Suite are private patio areas, offering privacy and scenic view of the surrounding garden.